And just like that, the season has changed! I love all the seasons, particularly the points at which one season bumps up against another. These interfaces are the points when I can see the transition happening and look forward to what is coming. So welcome to the UK Yankee Autumn Edit. Here are some of my favourite things about Autumn this year! So grab a nice hot drink and curl up whilst you have a little read of some of the things inspiring us this season. Hopefully you will feel inspired too! Pendleton was a favourite of my grandparents. Pendleton is traditional and yet, used right, it can also be a bit quirky. I bought this wool throw 25 years ago and it looks like new. Such is the quality of Pendleton. Yes, it’s an investment piece, but you’ll never need to buy another one, that’s for sure! This throw is beloved of my entire family including the 2 furry ones. We actually argue over who gets to wrap up in it for campfires. If you like the look of it, you can buy your own through Pendleton-USA or through Pendleton-UK! I see me and my blanket spending a lot of time together as the weather grows colder… Love! 2. The Simplicity of Cider by Amy Reichert. My mom’s friend introduced me to the wonderful Amy Reichert (thank you Alicia). The inimitable Ms Reichert is on my list of people I’d love to meet because I’m convinced we’d be fast friends! Also a native Midwesterner, Amy Reichert writes about places I know and places I love. BUT…I’ve shared her books with my English neighbour who also loves them! The Simplicity of Cider is a love story set in Door County, Wisconsin (a very happy place for me) and is a feel good read that I could not put down! But this love story is incredibly complex and isn’t just about the love between two people. It has family, apples and fantastic twists. A recipe for the absolute perfect book for Autumn reading (with your cozy blanket obviously!). September is back to school and people like me really miss having their little person/people around. So I designed Lunchbox Love Notes for you to send your love even when you can’t be there in person. Each set comes with 10 cards: six are pre-printed with inspirational sayings and four are blank for you to write your own message. Slip these into lunchboxes, handbags, purses, wallets- even the bathroom mirror. They are wonderful for the whole family and friends too! They are available on the UK Yankee Etsy Shop. 5. The UK Yankee Love Makes a Family Pumpkin print. This lovely autumn version of our classic print is just the ticket for warming up your decor this fall. I imagine that it would be a beautiful addition to any Thanksgiving table. It certainly will be adorning ours! If you’re in love with our seasonal print, let me know on the UK Yankee Contact Page and I’ll set you up! I’ll be posting it in the Etsy Shop lickety split! These five UK Yankee household must-haves are the bones of our UK Yankee Autumn Edit. But what are yours? Is there anything you think I need to add to my list? I love to have recommendations from other people! Yes- I do love a good bit of sunshine, but I actually prefer the colder weather. So if we could have sunshine and a bit of chill, I’d be in heaven! It’s the oppressive grey that I really struggle with. But I love Christmas too 😉 Thanks for commenting. Thank you for your lovely comment! 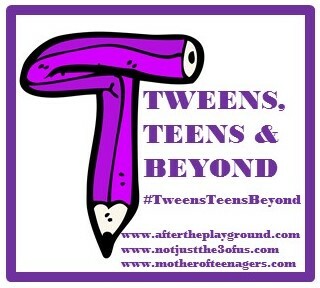 I’m looking at a new design of love notes that are geared toward teens/adults so stay tuned! Sometimes it’s just lovely to have a surprise note in your handbag or phone case. I like to slip them into cards that I send to friends. Thanks for your comment and enjoy this beautiful season! Ah thanks Helena! I adore the throw too! And it’s becoming very pertinent as the weather cools down 🙂 Thanks for commenting.